The S.C. Attorney General office calls the law that lets S.C. Electric & Gas charge customers about $37 million monthly to pay for the shuttered V.C. Summer nuclear project “constitutionally suspect” in a new legal opinion. In response, the state’s customer advocate petitioned the S.C. Public Service Commission Tuesday to stop those payments to the utility. The Office of Regulatory Staff asked the commission to suspend rate increases approved for SCE&G under the Base Load Review Act, adopted in 2007. That law allows S.C. utilities to collect some of the costs for construction of a nuclear plant while it is being built. And it also permits utilities to collect the full amount spent on a plant if construction is abandoned, as it has been in the case of Summer. SCE&G, a subsidiary of SCANA Corp., and state-owned utility Santee Cooperhave already spent about $9 billion the plant, which they say would now cost at least $18 billion to complete. ORS Executive Director Dukes Scott says the filing also asks that the commission require SCE&G to credit customers the $1.4 billion they have already paid for the project, if a court rules the law unconstitutional or the legislature revokes the act. Regardless of any court or legislative action, the ORS petition notes there are allegations that SCE&G “failed to disclose information that should have been disclosed and that would … provide a basis for challenging prior (rate) requests.” The petition says “SCE&G should not be allowed to continue to benefit from non-disclosure,” arguing for the ORS request to retract the already approved rate increases. Scott emphasizes that the commission has the final decision on rates. His office cannot raise or lower rates for utilities. Solicitor General Robert Cook wrote the 50-page opinion that S.C. Attorney General Alan Wilson issued Tuesday afternoon. Cook writes that the law must be presumed to be constitutional until a court acts, but raised serious issues that could lead a court to strike the law down. “It cannot be considered to be ‘in the public interest’ to charge ratepayers for capital costs of an unfinished and abandoned plant,” the opinion says. It notes that a court could find that to be an unconstitutional taking of property without due process under state and federal law. Cook also offered his opinion that the S.C. General Assembly has the authority to change the law retroactively, so long as legislators balance the interests of consumers and investors. 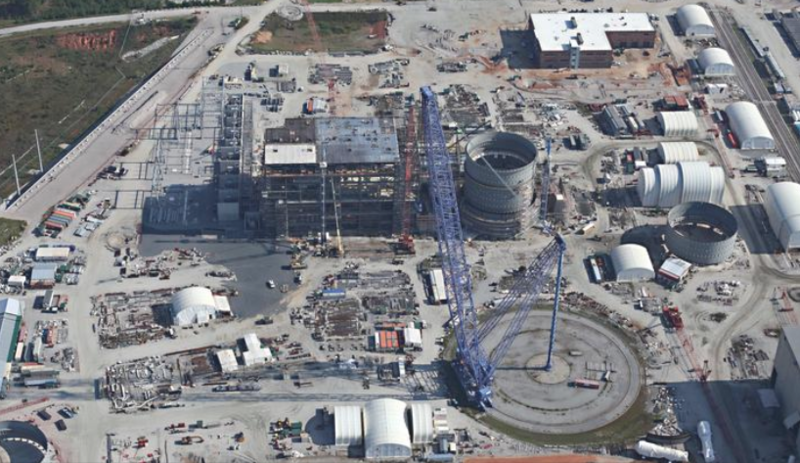 SCANA (NYSE:SCG) still holds that it is entitled to recoup its costs under state law.